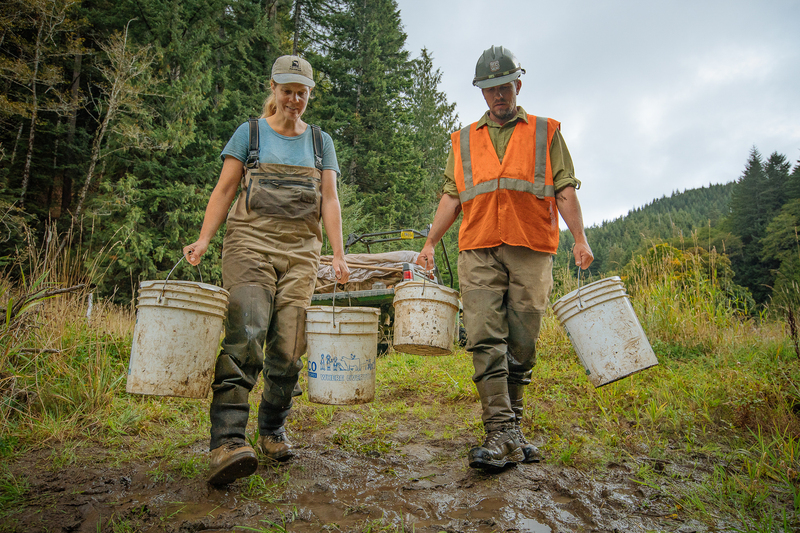 Biologists with the U.S. Forest Service and working in partnership with the Siuslaw Watershed Council approach with buckets laden with fish, molluscs and crustaceans such as crayfish that will be released into a newly restored and flooded stretch of river in the Five Mile Bell project. New native vegetation, planted within the last five years, and a restructuring of the river bed has created healthier conditions for life. Wildlife are collected from reaches of the river at the beginning stages of restoration and moved to more restored sections.